Online marketing has grown by a lot. Along with the ongoing levels of competition between online-business owners to increase web traffic, there are numerous inventive methods to get more traffic to your website. Here at Minnesota Interactive we specialize finding ways to increase web traffic to your website. Search engine optimization, search engine marketing, email campaigns, ad campaigns, link building, and retargeting are all very important parts of a proper SEO plan. We are experienced in all of these areas and can help increase your web traffic by properly utilizing these techniques. Increased web traffic is essential for all internet businesses, not merely people linked to online marketing. 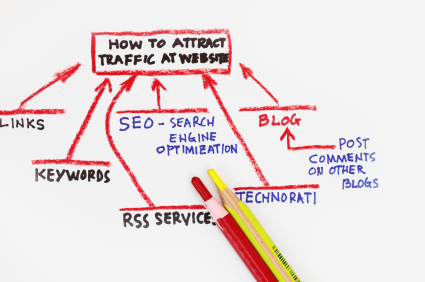 The value of increasing website traffic to create your business is not over-emphasized. Without site visitor you might as well not even have one. Having an excellent site that receives many quality visitors is a great way to increase your revenue and sales.